This is a smartboard file. It is targeted toward a early elementary grade like 2nd, 3rd, or 4th. 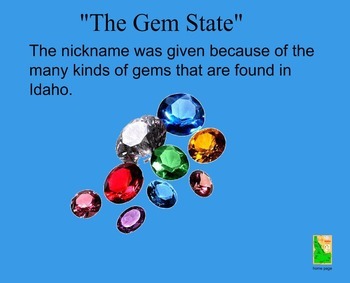 It presents basic information about the state of Idaho. 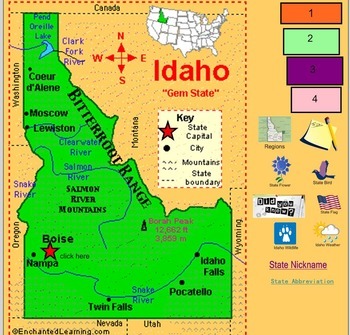 The information includes: the capital, the geography and landforms of the state, the climate, the wildlife, the 3 major regions, the abbreviation,the farm products, the state bird and flower, the state nickname,the natural resources, and 2 interesting facts. 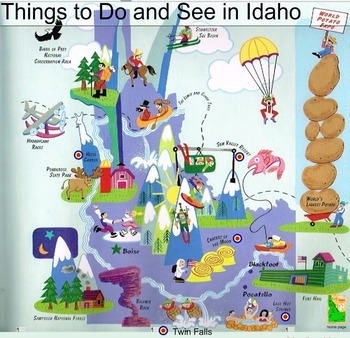 The file also includes a brief review of the kinds of landforms that are in the state. 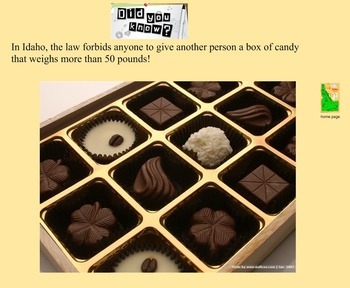 It can be used in a study of the United States or the western region.